1. 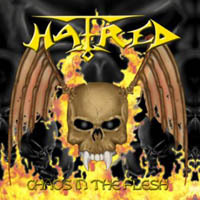 Hatred is a thrash metal band from Schweinfurt, Germany. The band was founded in 1998. 2. Hatred was a thrash metal band from Sweden started by members of the punk band Asocial. 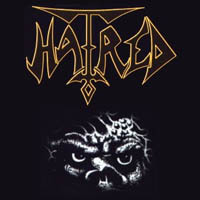 This Hatred released 4 demos in the late 80's. Members went on to be in bands like Uncurbed, Centinex and Dellamorte. 3. Hatred is/was(?) melodic metal band from Finland, Joensuu. 4. There is a Dutch Hatred too, a death metal band. 5. There is also a US Hatred, a death thrash band from Virginia who put out a full length cd called The Offering in 2000. 6. There is also Belarusian punk band. 7. There is also Hatred, Serbian thrash metal band from Belgrade.